I have a pretty nasty cold, so I only want to eat things which are smooth going down my throat and so flavorful that I can taste them despite my stuffed nose. 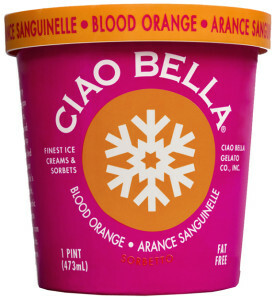 Ciao Bella blood orange sorbet fit the bill perfectly. Of course, I can’t tell you how someone that has their 5 senses would experience it, but to me it was delicious. The sorbet had a strong orange flavor, with some welcome bitter undertones. It was very creamy and smooth. They have these at Grocery Outlet here in San Leandro for $2 now, and I think I’ll stock up.